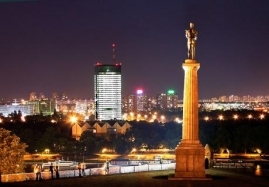 The old Bohemian quarter of Belgrade grew up at the end of the 19th and beginning of the 20th century when its inns were the gathering place of the best known names in Belgrade and were frequented by the leading lights of Belgrade cultural life. Skadarlija was once home to many famous writers, actors, painters and journalists. It is most frequently compared to the Paris quarter of Montmartre, both because of its appearance and its happy, ebullient, creative atmosphere. In this street you will find numerous national restaurants and have the opportunity to actually taste a piece of Serbian tradition. See our selection of apartments with easy access to Louisiana form the list below the map.